One of the more noticeable things on forums lately has been the hate for GW (well done Einstein I hear you say!). However what I have found more interesting is the source of a lot of this hate. Click onto any thread re GW’s manoeuvres (e.g. WAU, even locals like City Guard) and the vitriol is not coming from just GW players. In a lot of cases it is coming from players that play other systems, and in particular Privateer Press. Now here I’m not looking at the guys that quit Warhammer Fantasy for Warmachine but rather guys who gave up any GW game and in some cases, years ago. GW trade embargo, they spit tacks. GW price rice, again more vitriol. Introduction of Finecast, opinions on quality control. Etc, etc, etc……. Simple question – Why do you care? You’ve given away the Company so none of it affects you. Yet you feel the need to troll GW threads and extol the virtues of your chosen game and chosen company. Generally this is in tones bordering on evangelism. Personally I’m glad you’ve found a game that you like, I’m glad the miniatures excite you and I’m glad you feel more grown-up with the branch of man-barbies that you play. But enough with the preaching. N, I don’t want to sip the Kool-Aid. I wonder why it is that PP disciples need to post in threads on GW issues. You very really see the opposite. Yet the constant snipes, trolls etc are very tedious and to be honest are probably symptomatic of something that you’ve realised but don’t want face i.e. a coping mechanism. The reality is that without GW and GW games the hobby would not exist in the form it does. You wouldn’t have the conventions/tournaments etc that are subsidised by the numbers that play Warhammer and 40k. As I said I think it’s great you’ve found a game you like and enjoy. However I don’t understand why you feel the need to denigrate the hobby of others. I really don’t. The price rises and other issues not impact your enjoyment. Why not just enjoy your chosen game for the fantastic hobby it is rather than waste your time trolling mine? NB: I want to be clear that my snitch is not with Warmachine or Privateer Press,they provide a great game by all accounts. My beef if entirely with those who seem to take delight in trolling the world for anything negative about GW. I agree it gets tiresome. I am aware Warmachine exists, and don't need it shoved in my face every 15 minutes. I suspect there are a few factors here. 1. GW's market share is so ridiculous that it sets itself up as a target for everyone else. The assumption is that most players are still playing Warhammer/40K, and therefore they're the most likely source for new players in these other systems. 2. People get seriously disenchanted with GW, and when they finally leave, it probably takes them quite a while to get the bitterness out of their system. 3. The internet makes people obnoxious, and some people will take a swipe at anyone given half an opportunity. GW is giving them a lot of opportunities at the moment. 1. I really don't think most of the people playing GW games feel like evangelising right at the moment. Even if we are happy with the games we're playing, very few of us are in the mood to push GW upon others in the light of recent events. 2. If you assume most of the people playing other games have already had a go at Warhammer/40K in the past (this is likely, given its dominance and higher visibility than alternatives), there is not much point going and championing the games to them. They already have a fair idea of what it's about, and are unlikely to come back in real numbers. Just my thoughts. Yes, I still play Warhammer. No, I am not best pleased with GW. And yes, I am sick of other people nagging me to play something else. To be honest I'm sick of the whole Warhammer vs Warmachine thing which has been blown out of proportion by certain people from both systems. Yeah there are a few WM/H players that sink the boot into GW continually and get others to play but they are a minority. I think far too much airplay (including in this blog) is being given to the issue. The majority of WM/H players that I know and speak to couldn't care less about what's going on with GW games and are happy to focus on enjoying the PP game. Not sure what's molivated your comment Mike, but it's surely a strange one. This blog has never got into the "Which is better, Warmachine or Warhammer?" because.....neither Charlie, Jack or myself have played PP games. I think you have confused the fact that this blog continues to champion 8th Ed Fantasy as a game being as good as 7th Ed. Now i know that ymmv. Anyway, hope that clears things up. Can I just say that I really enjoy your blog and reading the well thought out contributions made by yourself, Charlie and Jack. I agree wholeheartedly. 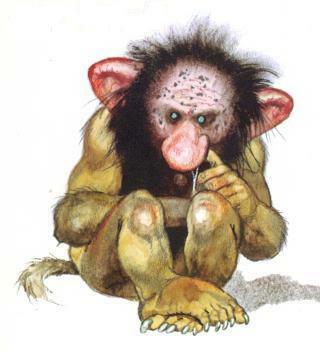 There's a little 'methinks thou dost protest too much' in many of the troll comments. Personally I think Warmachine looks like a cracking game (I don't know enough about Hordes to commment) but I'm not going to give up Warhammer because of it. I might play both (gasp!) though.